Whitewater kayaking is accessible to all and remains the best way to discover rivers. With this program divided into 5 parts, you will be able to learn at your own pace in a completely safe environment. You will discover the Saint Lawrence River from a new perspective while living thrilling experiences. 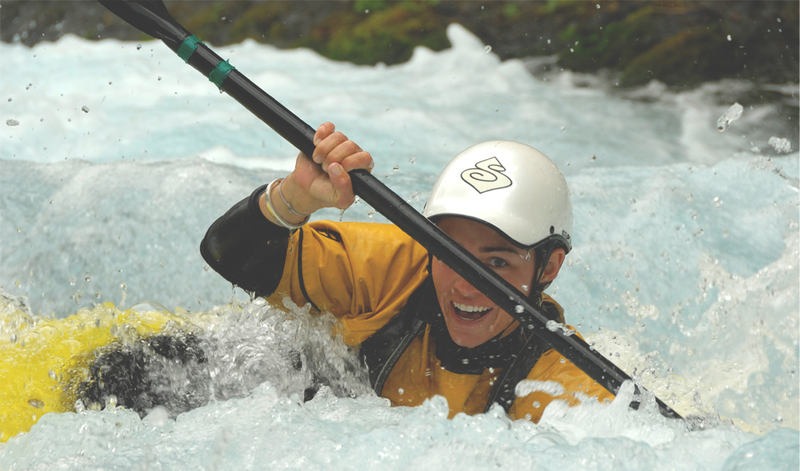 This is an introduction course to whitewater kayaking. 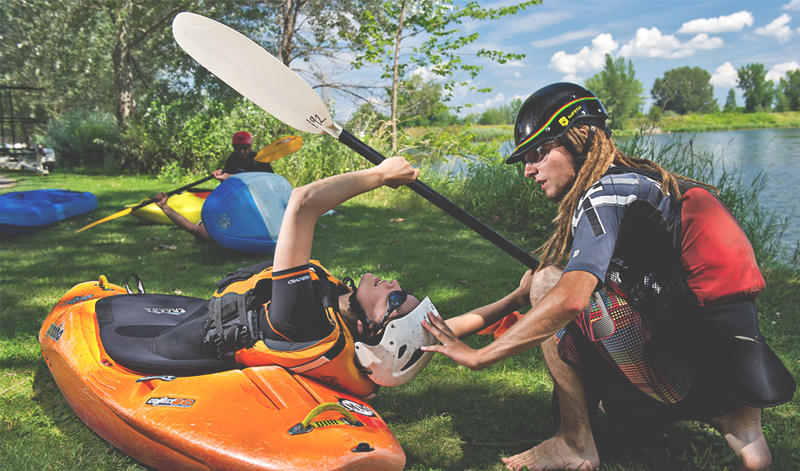 You will learn the name of the equipment and the following basics: the wet exit, or the art of getting out of a capsized kayak, sweep strokes and the power stroke, braces, the assisted recovery, and the introduction to the Eskimo roll. A must for a first time kayak experience or for those who wish to gain some notions. Can be taken with Initiation 2, which we strongly advise to take on the same day in order to fully grasp the basic techniques and to put them into practice. *Combo discounts are only applicable for bookings made by phone : see our Policy. The Eskimo roll is a technique that has been developed by our ancestors of the North, the Inuit, formerly known as Eskimos. You will learn this maneuver throughout this lesson, which consists of returning your capsized kayak to an upright position. The instructor will assist you during your first attempts. This course is necessary for someone who wishes to venture rivers. Can be taken with Initiation 1, which we strongly advise to take on the same day in order to fully grasp the basic techniques and to put them into practice. This course has been developed for those who want to learn how to descend a river in a safely and independently way. You will learn the following techniques: the ferry, eddy turns to enter and exit currents, rapids reading, and river navigation. You will learn the river basics while discovering the most moderated sections of the famous Lachine Rapids. Prerequisites: Session 1 and 2 completed or equivalent experience. Be confident with performing Eskimo rolls in flat water. Participant must be 12 years old minimum; children under the age of 16 require parental authorization. Prerequisites: Session 1 to 3 completed or equivalent experience. Participant must be 12 years old minimum; children under the age of 16 require parental authorization. 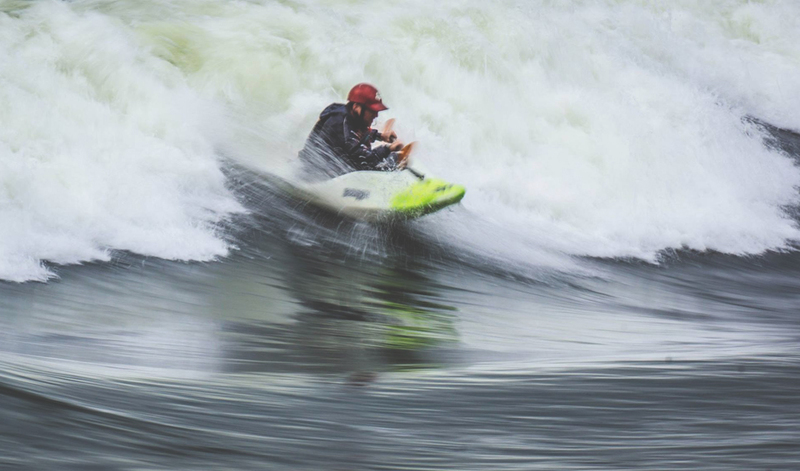 Before surfing on the advanced level waves of the Lachine Rapids, such as Big Joe, Gaétan, or the Pyramidal, you have to learn the basics of kayak surfing. Different techniques will be covered: front surfing as well as the first maneuvers in order to surf properly on the waves and holes. Kayak surfing, an array of emotions and accomplishments in a few paddle strokes! 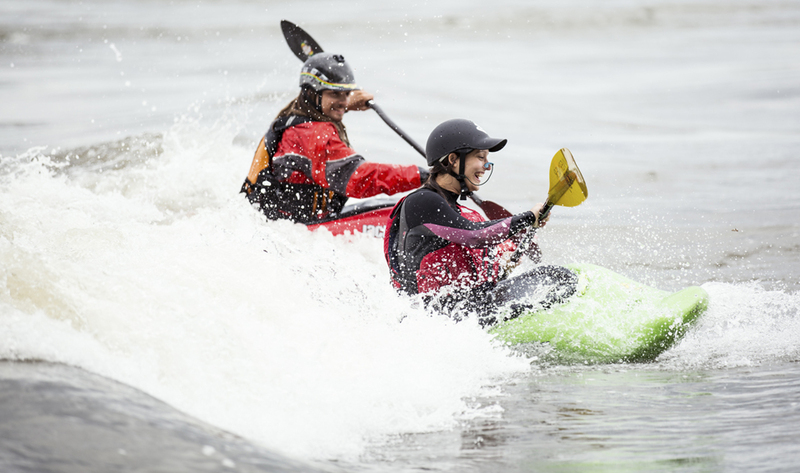 This course is intended for those who master the Eskimo roll and kayak surfing. 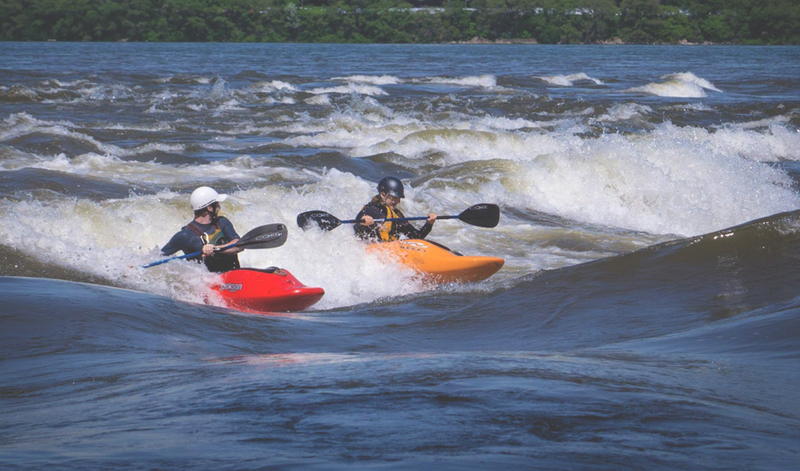 Discover the most famous waves of the Lachine Rapids within a safe framework. During this lesson, we will teach you the main path to reach the Big Joe Wave and other nearby waves. Our instructors will guide you for your wave choices and will give you advices regarding your techniques. A dream worth achieving! Prerequisites: Session 1 to 4 completed, or equivalent experience, and master the Eskimo roll in white water. Participant must be 16 years old minimum.